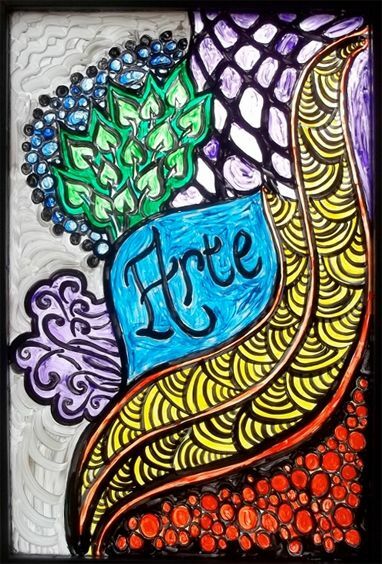 Our inbox is over-flowing with beautiful Zentangle inspired creativity and we're excited to share it with you. We trust you will enjoy these creations as much as we did! First, Lesley Scott-Gillilan, CZT, wishes everyone a . . .
"Since it's been so dark and dreary I thought I'd send along a picture of the classroom window I tangled for my kiddos and I. When the (rare) sun shines through on a chilly WA morning, it makes us smile. The acrylics I chose for the painting are still bright and promise to last us through the winter." 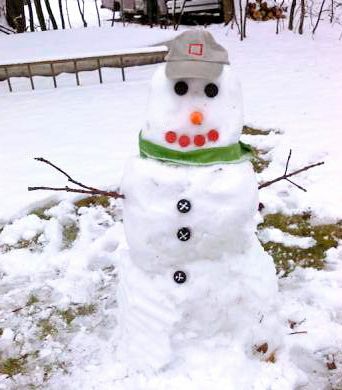 "This was a great way to start the new year. 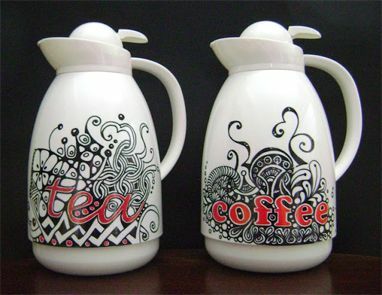 "I started Zentangling in the Fall -- so just a couple of months and it's been a wonderful journey. I've used your youtube videos and newsletters to instruct me. "My near daily meditations-with-pen are times when I forget the constant pain attendant to my condition. It has enabled me to give/send something I've created: I've tangled on the tops of handmade gift boxes, tangled on my handmade paper, and am now making zentangle art to fit in photoframe cards as thank you notes for Christmas gifts. "I am very grateful for your generous spirits, whose sharing has opened up new methods of expression for me." "Hi Rick and Maria --- Here is a tile mosiac from my first Zentangle class. I have 20 people in the class and all are very excited about Zentangle. I used the instructional DVD in the Apprentice Classroom Pack and it worked very well. I'm so pleased and I look forward to seeing you in Rhode Island for the June seminar!" We opened our registration last month for our two Certified Zentangle Teacher training seminars in 2013: June 23-26 and October 13-16. Our June seminar is full. You can email Martha to get on a wait-list because often a few seats will open up. However our current wait-list for June is pretty long now and you will do better registering for October. We all look forward to meeting you and working with you. 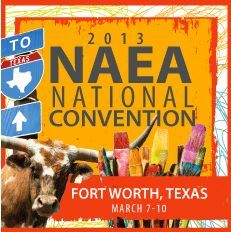 We (Rick and Maria) will be speaking and signing books at this year's National Art Educators Association (NAEA) Convention in Fort Worth, Texas, March 7-10. 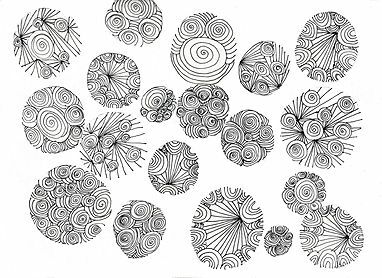 We will present a Zentangle workshop on March 6 from 6:30 - 8:20 pm (registration required). During the convention we will mostly be in Sakura's booth and we look forward to meeting and talking with you. As we get more schedule information, we'll let you know in a newsletter. 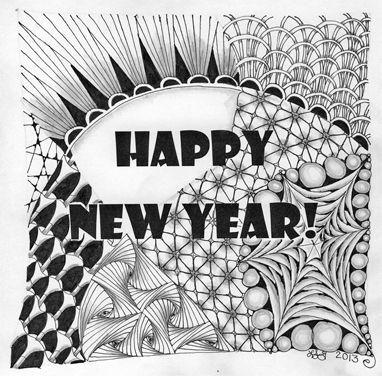 Thank you to all who sent examples of your Zentangle inspired artwork. And thank you all for enjoying this Zentangle adventure with us and with each other. If you're just joining us, you can read all our earlier newsletters on this archive page. Zentangle is an easy to learn, relaxing, and fun way to create beautiful images by drawing structured patterns.